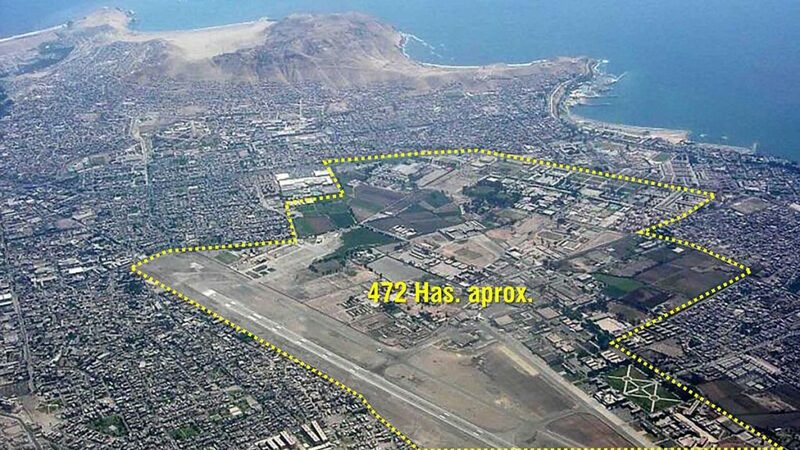 The visit of the Pope has left several topics us to think, one of them is the role that must fulfill the “Las Palmas” air base in the Lima of the 21st century. Good is known, Lima has doubled in inhabitants and surface in the last forty years, and this growth has not had like correlato a model of planning who reserves spaces for the development of green areas and equipments on a large scale metropolitan. In this process, the army saved himself certain lands for the location of his facilities and services, in what in this then they were peripheral zones, but that today are surrounded with city. This reality not only impedes the functioning of the facilities, but also it affects the quality of life of the neighbors, affected by the sonorous pollution and the own risks this type of activities. 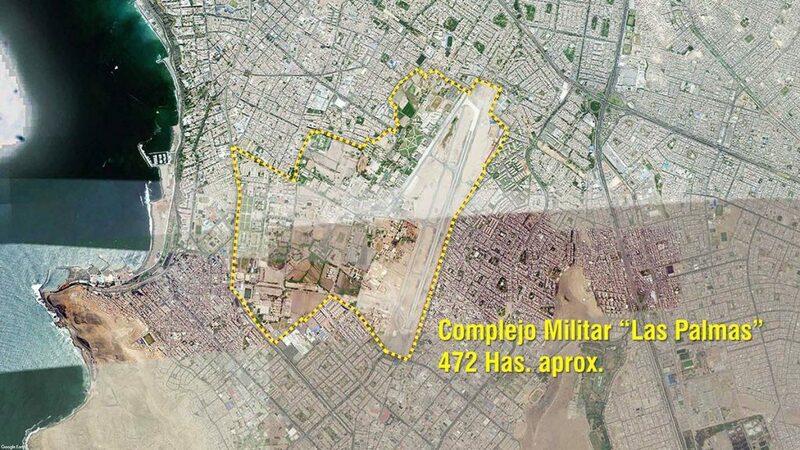 Already there exist cases of military lands turned in urban, as the “La Pólvora” barrack, and the air base of “Collique”, that, though they have helped to diminish the deficit of housing, his level of contribution in public spaces and equipments to metropolitan scale is scanty. For years one comes speaking about the future of the “Las Palmas” air base, and the look has been very similar to that of “Collique”, with the incentive that his location is more attractive for the real-estate market. On the other hand, the mass celebrated last Sunday puts in evidence the scale of the runway, which represents 13 % of the total of the military complex (60has. Of 472Has. 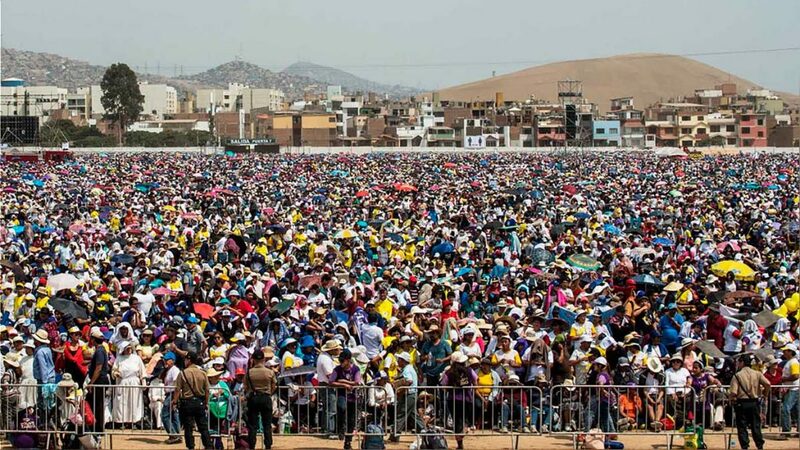 ), and where there met approximately million two hundred thousand persons, population equivalent to that of the San Juan de Lurigancho district. 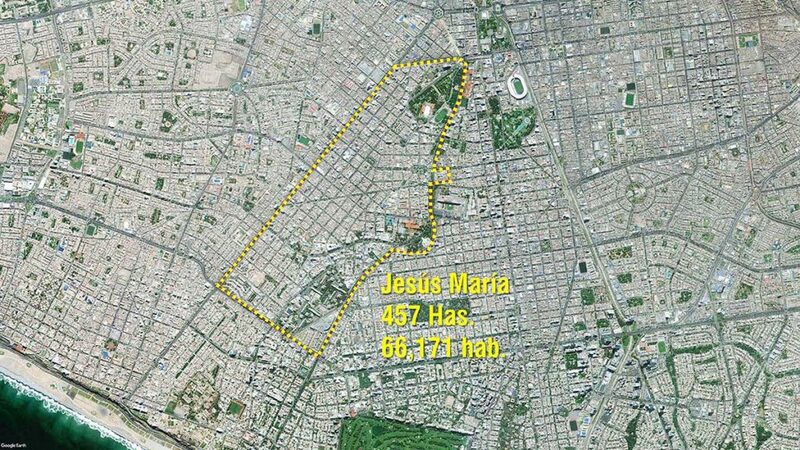 Which would be the best future use of a similar land in surface to the district of Jesus Maria, the same one that it shelters to Mars’ Field and Residential San Philip? 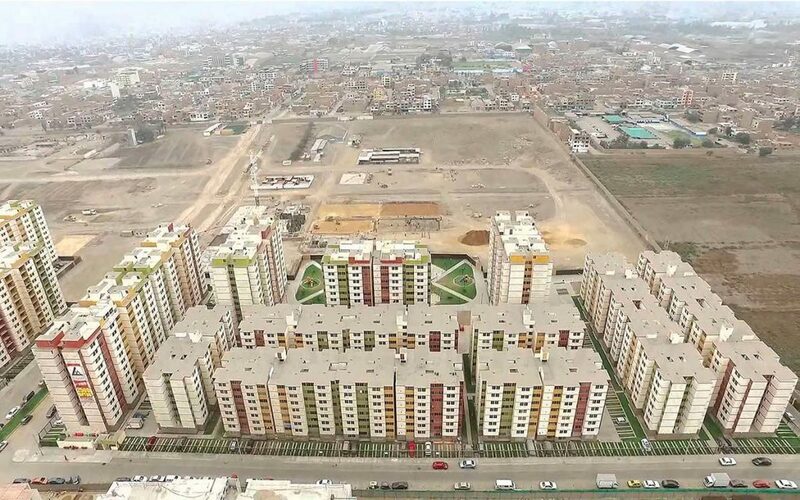 According to the Gestion diary, the deficit of housings in the city is 612 thousand units, using the density of the same district we might be speaking closely about 20 thousand homes, which in buildings of 5 floors would occupy less than 10% of the soil of the military complex. With this rapid calculation we can give us an idea of the enormous potential that has the land to reach to the solution of the demand habitacional and deficit of equipments and public spaces of our city. The natives of Lima we deserve a great city, there exist notable international examples into which similar lands have re-turned for urban uses, generating, besides housing, important public spaces and equipments. We might speak about European cities and north Americans, but better to check the case of the city of Quito, where the process of restructuring of his former airport is in march, with an ambitious project of urban renovation that will contribute to the city a great park of 136 hectares, equipped with diverse cultural and sports services. These big urban projects must propitiate also the reflection on the national policies of housing. 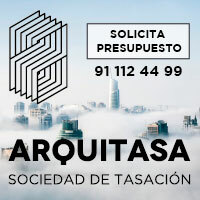 Iván Alonso, in his article “Move away from me, oh suburban train”, it has put in fabric of judgment the relevancy of the construction of the announced train for Lima, arguing that the supposed benefit in the creation of new housings would not justify the cost of his construction and functioning. Though, and as town planner, I think that the investments in urban infrastructure must not decide only with economic arguments, also I question the royal benefit of so important investment, being that his justification is in the creation of new cities satellites to reduce the deficit of housing, it formulates that it has failed worldwide. 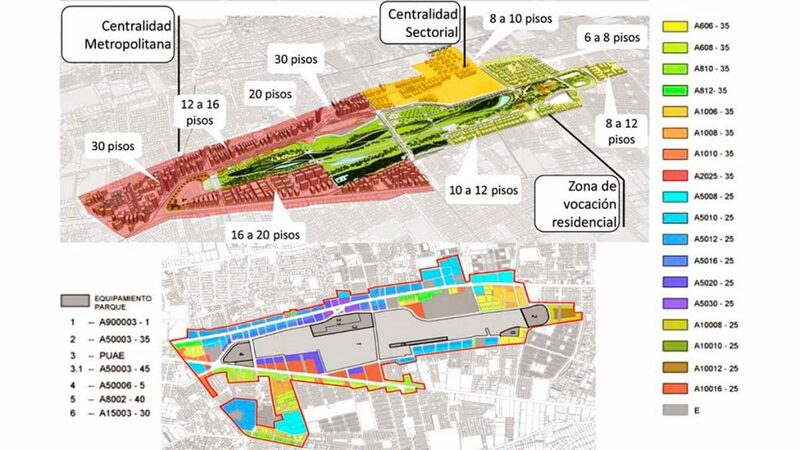 Under this one focus, the “Las Palmas” military complex in the Metropolitan takes a leading role in the future development of the city, sustained in addition in his easy connection with the Meter Line 1, the extension of the Route Expresses, Pan-American South and the Beach circuit. His important surface allows us to think about alternative models of social housing, as buildings destined for rent under the format recently announced by the Secretary Bruce, propitiating the social mixture and offering to the young pairs located well departments that allow them to reduce his times of displacement, and for ende to improve his quality of urban life. We are in time of projecting our city with greatness, let’s stop thinking that the future is in the sandbanks of the north and south, and let’s refocus in the big lands with disfunctional uses, sure where we will find answers for the city of the tomorrow in which we we all dream to live.